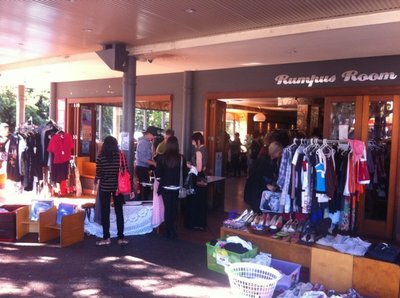 There is a buzz around town about these unique and fabulous markets which are held on the first Saturday of each month at the Rumpus Room (cnr Russell & Boundary Streets). The nightclub is transformed into an indoor market wonderland, with a DJ or live music, and a bartender on hand to provide refreshments. You can expect to find a wide assortment of wares including designer and pre-loved clothing, shoes, belts and jewellery, at prices you can afford. So get on down to the West End Vintage and Designer Markets, grab yourself a bargain and offer a new home to a stunning 'new' vintage outfit. While you're in the area why not grab a bite to eat at any one of the surrounding cafes and restaurants, or stop for one of West End's best coffees. For more information on the West End Vintage & Designer Markets, visit the Facebook profile. What time is the market on?